This post will recall the various ways that I’ve worn this trench coat in the past and how I styled it. Thus answering the age old question How to wear a trench coat? A very simple outfit: trench coat + a simple dress (notice the hem line is just a smidge longer than the length of the trench coat so it is only slightly peeking from the coat) + a pair of flats. This outfit is from October 2013 and I find the photo above really amusing, that’s M waving while taking the photo on his phone. I didn’t notice what he was doing until later when I saw the photo. He’s funny like that. 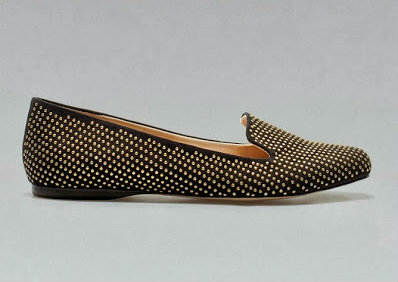 The shoes in question are a pair of studded slipper flats from Zara. 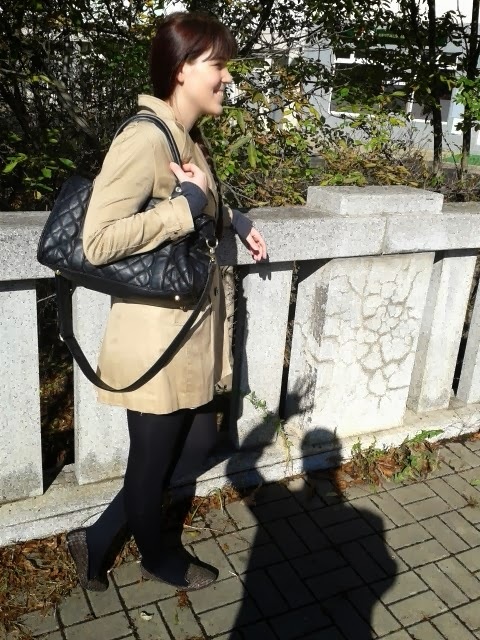 Ha, I do love M waving in the shadow!